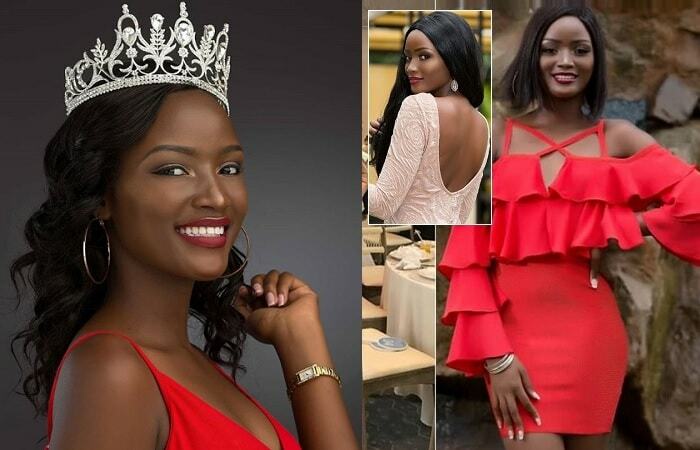 Miss Uganda 2018, Quiin Abenakyo, is getting closer to the Miss World Final 2018 after winning the Head to Head challenge in her group that pushed her to the top 40 and now, she is in the top 30 making her the first Miss Uganda contestant to come this far. This is a monumental moment for Uganda for securing a slot in the top 30 for the very first time in the Miss World history. "I am very proud and humbled for having done this for my country," Quiin said. Abenakyo excelled in the Beauty With A Purpose (BWAP) project and her video was on how she aims to keep the girl child in school and fighting teenage pregnancies. The Uganda beauty queen, was competing against Argentina's Victoria Soto, who she defeated. "1 in 4 adolescent girls ages 14 to 19 either have a child or pregnant. This has led to school drop outs, health complications like fistula, some girls are banished from home leaving them helpless." "I believe they all have dreams and goals to achieve. My objective is to put into action my beauty with a purpose project using the opportunity given to me by the Miss Uganda foundation and Miss World Organisation to achievably bring to the forefront of the world stage causes that promote the sanity of human life especially the girl child." The judges who include Manushi Chhillar, from India who won the Miss World 2017 selected each contestant based on their public speaking abilities. On Monday, December 3, 2018 the selection process for Beauty With A Purpose was held and 25 videos were shortlisted though Uganda is not among them. Kenya (HIV, widow cleansing) and Rwanda (Malnutrition) made it on that list. The 68th edition will be held in Sanya, China on Saturday, December 8, 2018 where Manushi Chhillar from India will crown the winner.